it can’t be ignored anymore. …When you want to search for something the worldwide term is to “Google It” and now when talking to friends you’ll often say “Facebook Me”. …Which means as a business owner you need to start getting serious about setting up a social media profile, which engages current and prospective clients for your business. …Are You Engaging In The Conversation! …When they search on Facebook and find nothing, it’s almost as bad as finding negative comments. …Not only that but they want to see Fans of your business sharing their stories of success and satisfaction. If you can have a Facebook presence which does this and then directs your customers to buy your products then you’ve got a winning formula. 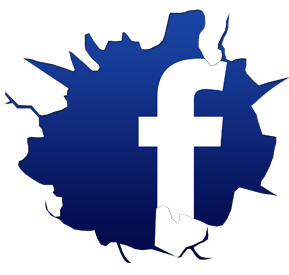 …Facebook users want to see a human face, interact with a human and personalize the companies they are working with. Facebook is a Social Network so businesses must be SOCIAL to succeed and this is where the Big Brands are getting it wrong! …After 3 months of working with Facebook each of the 60 businesses had positively return Facebook campaigns. They were driving new leads, customers and sales and their Facebook Pages were littered with comments, posts and interactivity. Now it’s no surprise that Facebook knows how to make it work, the problem for businesses is finding companies who really “KNOW” Facebook. We’re not talking about a business with a fan page, or someone who’s got a Facebook account, but a business that truly understands the inner workings of Facebook to drive results. …It’s time to work with a team of experts who truly understand Facebook and how to use Facebook Pages, Facebook Advertising and Facebook Applications to drive business results. The team here at Think Big Online has worked with small, medium and large organizations to set up and manage successful Facebook Campaigns. …We’re considered thought leaders in the social media space and we’d love to work with you to drive NEW business.